It’s been a while since I’ve done a Simple Sundays post. I’ve been too busy trying to be creative and unique that I’ve put the effortless recipes on the back burner. 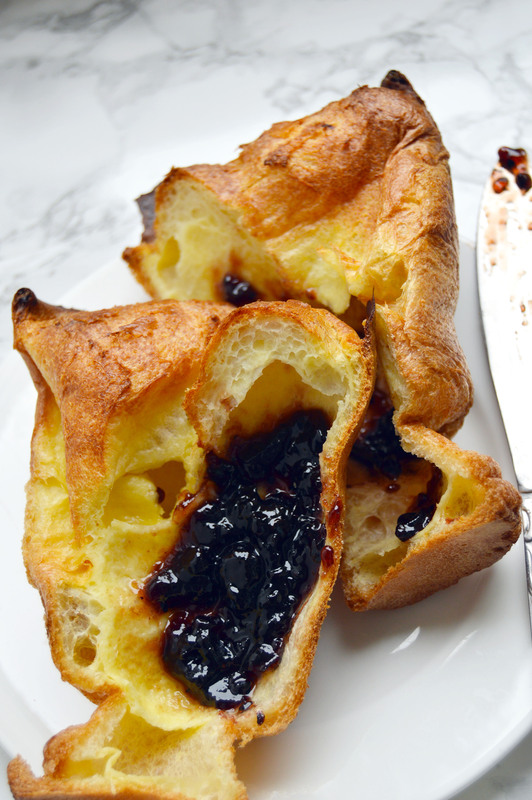 But I’m back with this super simple popover recipe. If you’ve never had a popover, I would say that it kind of reminds me of a dutch baby but in a muffin form. Light and crisp on the outside and moist and eggy on the inside, it’s the perfect breakfast food served with jam and butter. Actually, you can pretty much use them for dinner rolls too. Use a pastry brush to brush your popover pan with melted butter. 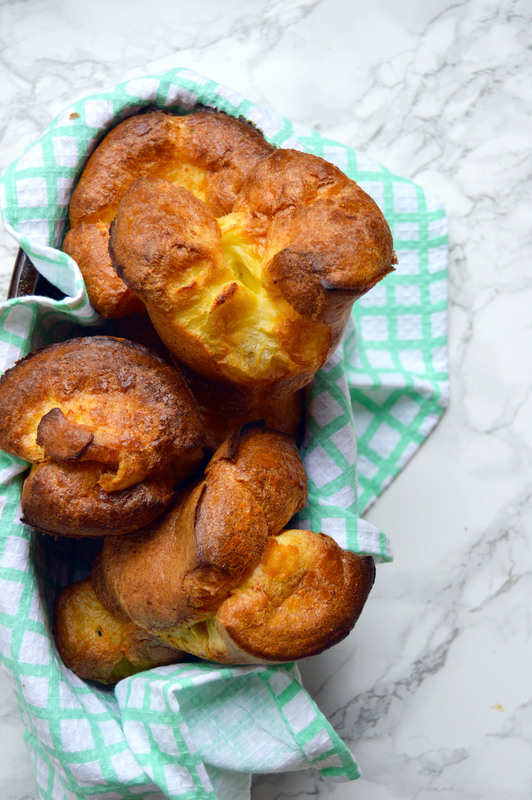 Bake the popovers for about 20-25 minutes until they are golden brown and very tall. DO NOT OPEN the oven door during this time. Recipe barely adapted from Food 52. This entry was posted in Bread, Breakfast, Simple Sundays and tagged bread, Breakfast, jam, popovers, quick bread. Bookmark the permalink. oh hai, little kitty! 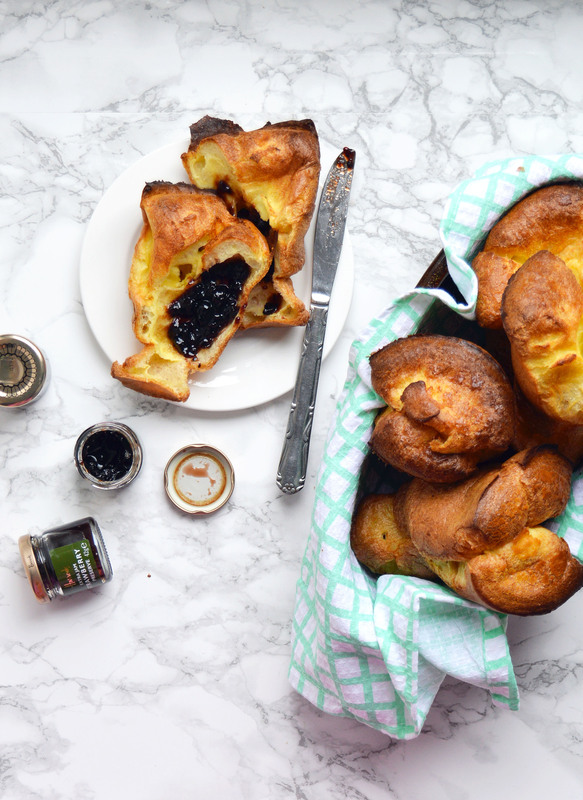 i love popovers – it totally is exciting to see them get so puffy and huge. ps those cruffins??? MAGICAL. They are absolutely perfect! Thank you! 🙂 Bear (my cat) is hilarious, he needs to sniff everything that I bake. I think popovers are so fun to watch too. They really puff up like crazy! Wooooooo weeeeeeeee Giselle, and your kitty is tooo cute!!! Will have to give this recipe a try. 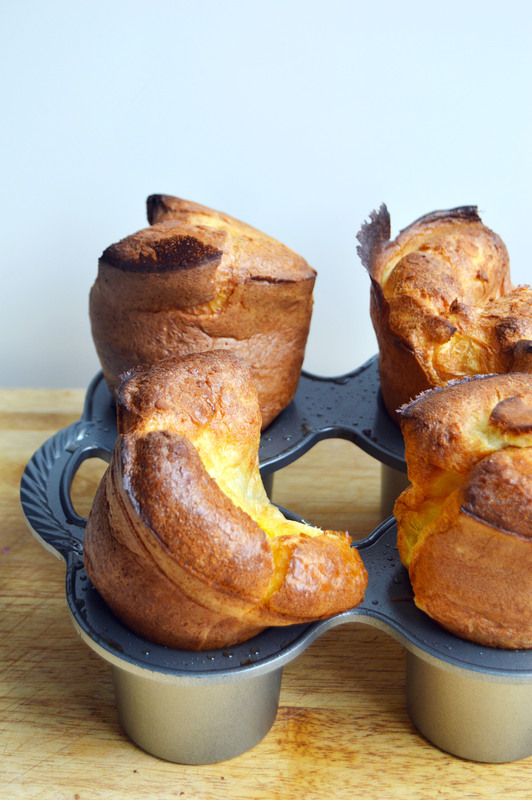 I love how lovely puffed-up these popovers are. Yum! Ooh, this is making me want to get a popover pan! Popovers are seriously one of my favorite things in the world!